Creating Print Valentines Cards on the iPad, Free app. You still have time! 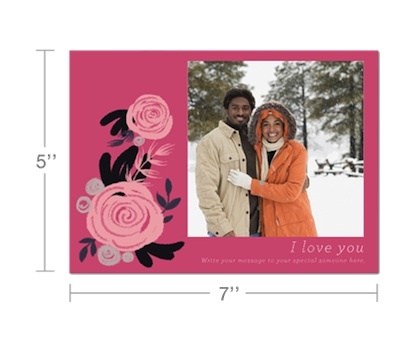 There are a variety of printed card creation solutions, including Cards from Apple. One has let us know they have updated their card templates to include Valentines Day! No excuses to not have a card ready for the holiday. Sincerely Ink Cards has all of their usual cards to cover Birthdays, other ‘Holidays’ and even Thank You (we use the Thank You cards for follow ups to our client meetings). The addition of the Valentines Day cards to the FREE Universal app means we can use pictures we have, add some text, tell the Sincerely service where to send the card and they print/mail it right out. Even better than a small bundle of flowers is a personalized card… well, we hope so, cards are so easy and inexpensive when we create them on our iPads!